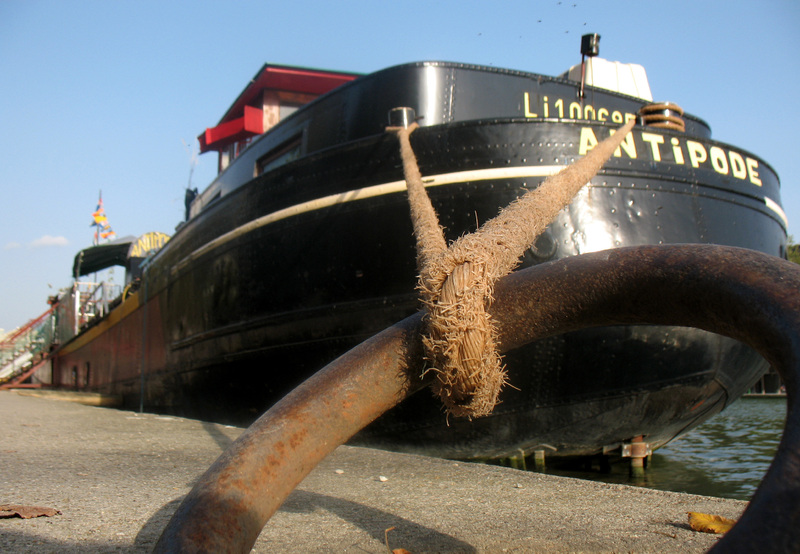 Sick of dry land? 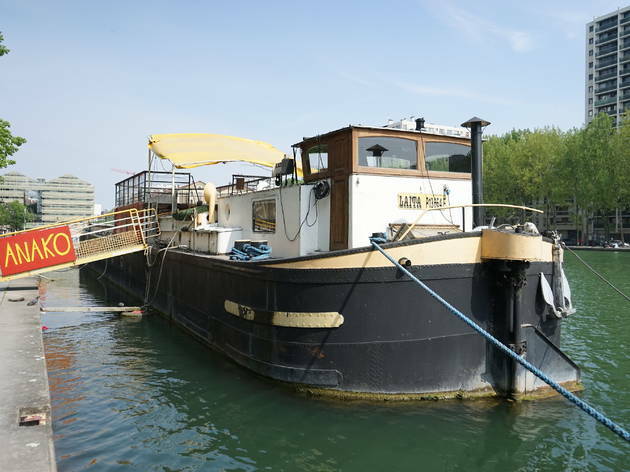 Take to the water on some of Paris's coolest stationary barges: spacious and quirky, these péniches offer something for everyone. 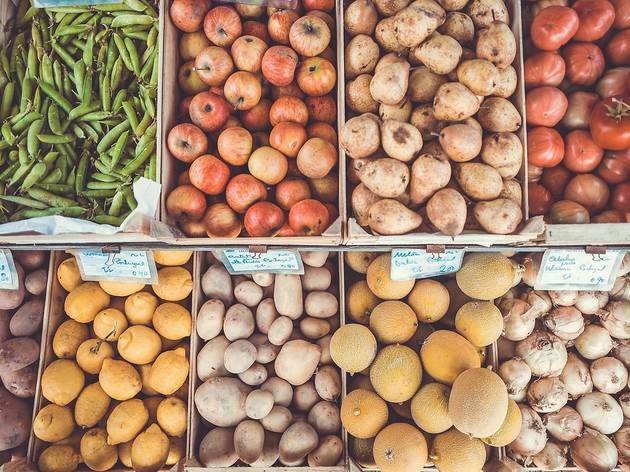 Avant-garde DJ sets, Parisian organic veg baskets, short films, artisanal pizzas – you name it, they'll be making waves with it. 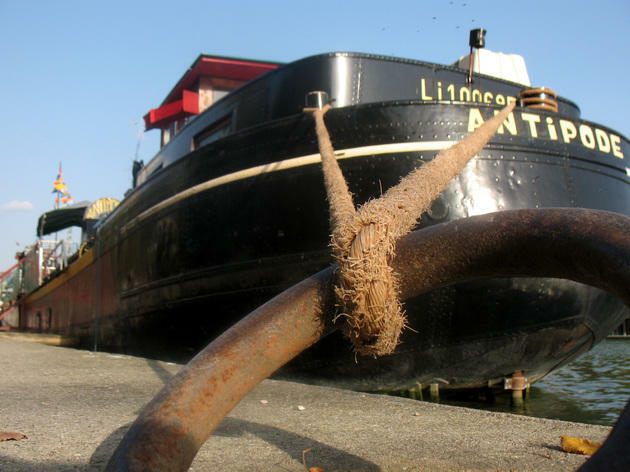 See you on deck! What's the vibe? 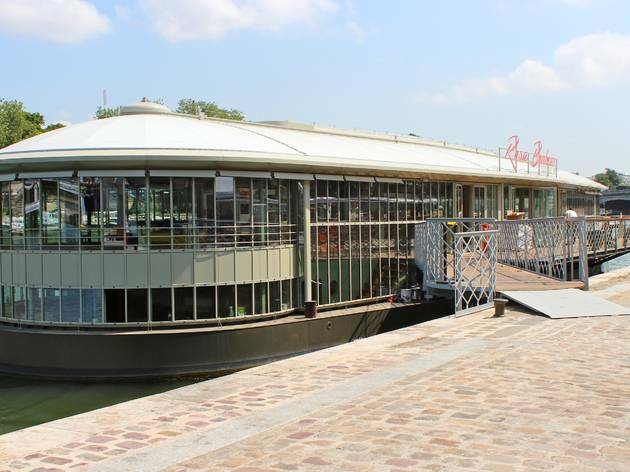 Possibly the best-known péniche on the Seine, this really is the boat that rocks – every evening in fact, to the beats of underground hip hop, rock, electro, dancehall, minimal, techno, drum'n'bass, jungle and dubstep. What can I do on board? Party, party, party. Come with lots of stamina. It's also open as a temporary beach from June to September so you can take in the view with the sand between your toes and a cold beer in hand. What's the vibe? 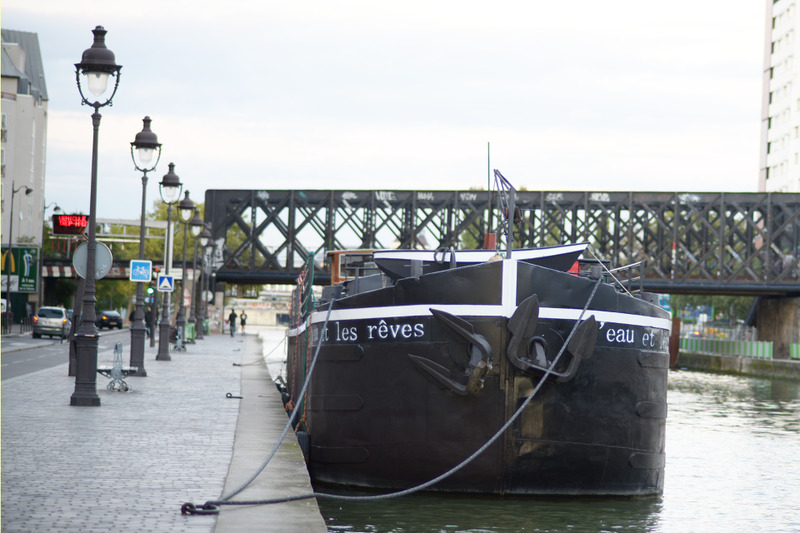 Designed by the Encore Heureux collective, Petit Bain is a fluoro-green barge topped by a cubist wooden tree house. 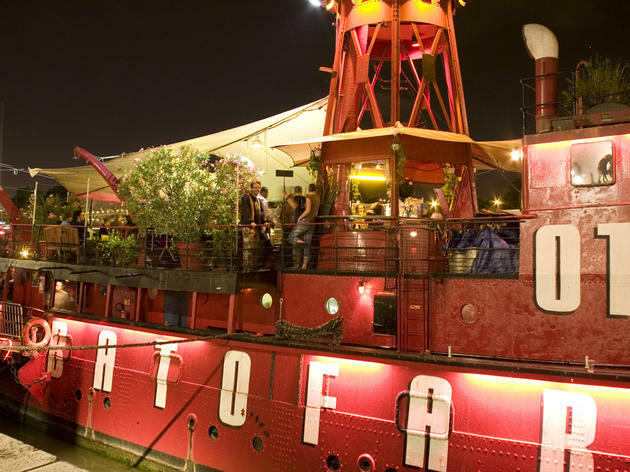 Its programme is just as eclectic and has been giving the Batofar (Paris’s stalwart floating nightclub) a run for its money, with an excellent line-up of concerts and art exhibitions. What can I do on board? 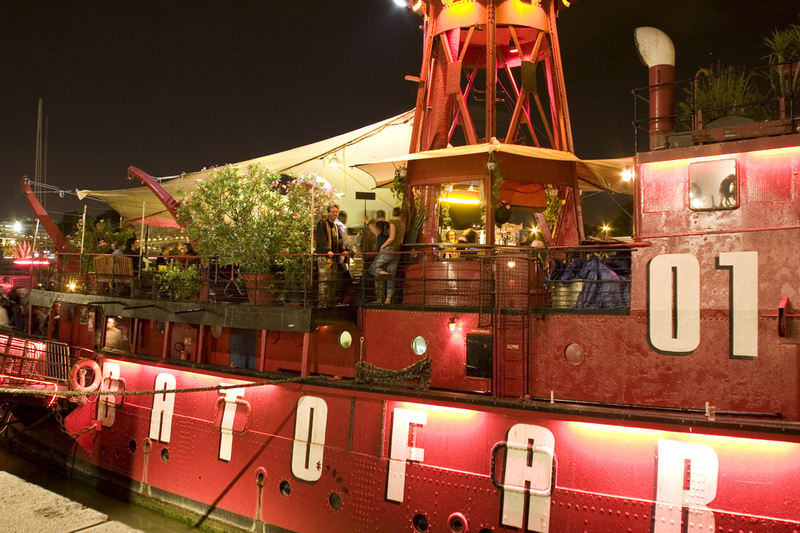 Drink, dine, admire the onboard gallery and groove to live music, from minimalist Norwegian pop to indie folk to jazz. What's the vibe? 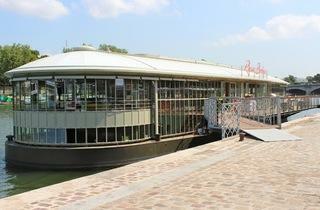 An all encompassing nautical theme make this spacious floating library, café and activity centre a true gem. 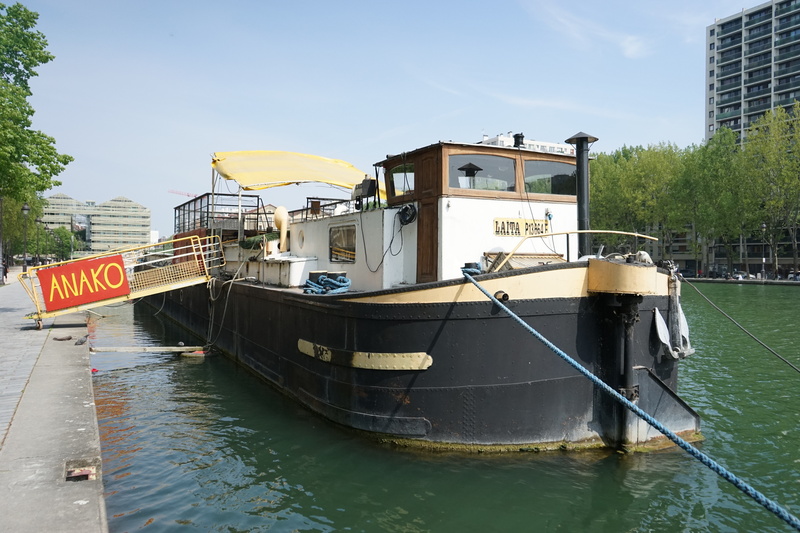 There are portholes, ships in bottles, maps and fascinating curved wooden furniture, plus a general sense of wellbeing through people doing what they love and having lots of fun with it. What can I do on board? 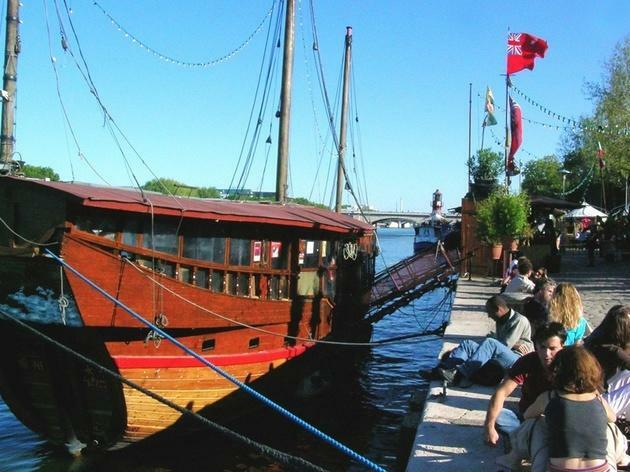 Browse, borrow and buy second-hand books on the upper deck, on anything from pirates to romance to military history. There's also a kid's area, theatre workshops, talks and signings. What's the vibe? 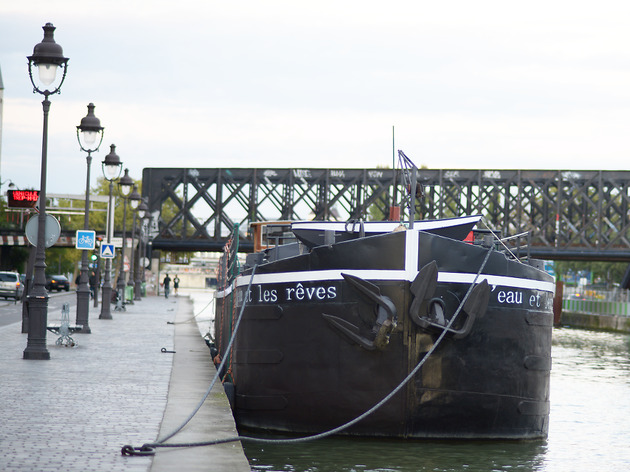 The first and only houseboat cinema in Paris is tucked into Parc de la Villette, and is not in the least bit pretentious, despite its eclectic and ambitious programming. What can I do on board? Watch films and short films from up-and-coming directors, take part in filmmaking debates and workshops, and network at late-night parties. 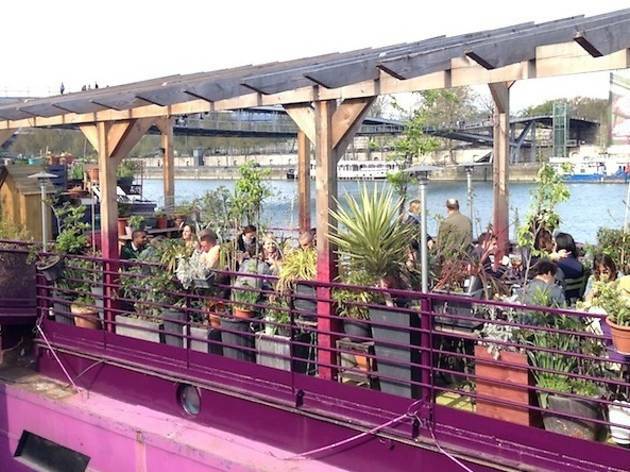 Plus there's onboard dining in the form of La Terrasse de Frankie. What's the vibe? 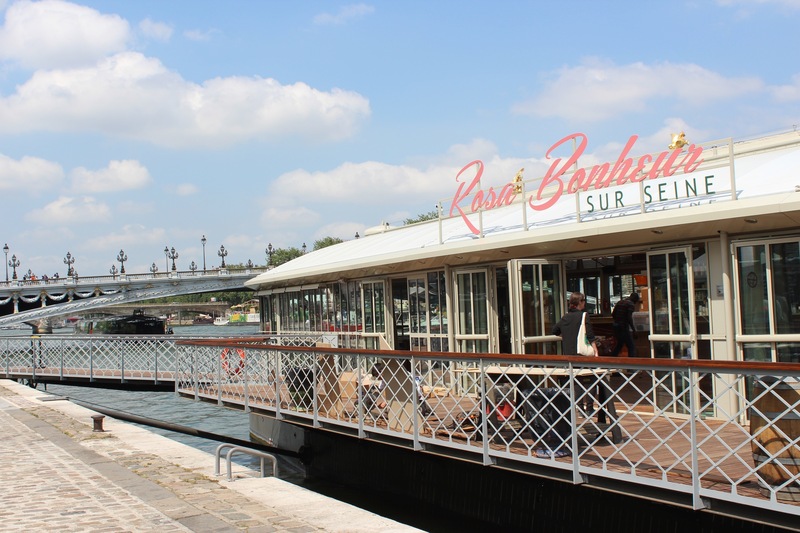 Docking on Tuesdays and Saturdays, this floating food market is a fave with the city's eco-conscious restaurants, but anyone can browse on board or pre-order baskets for weekly delivery. What can I do on board? 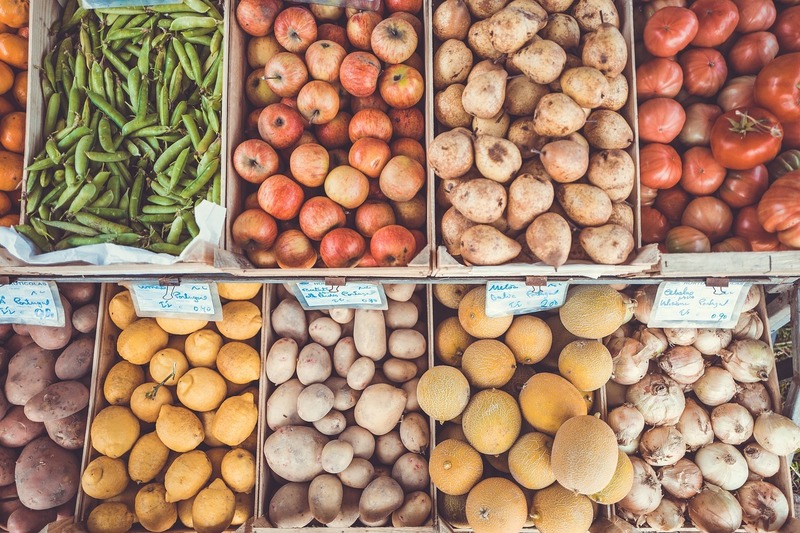 Shop for organic, seasonal and locally sourced fruit and veg from Paris-region growers. What's the vibe? 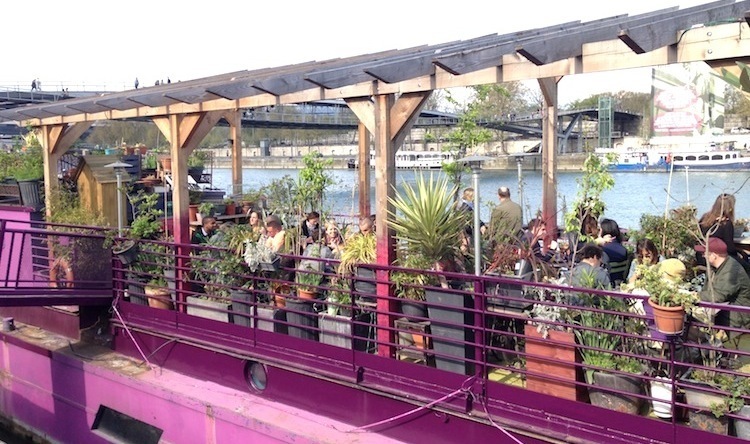 This exotic wooden Chinese junk is a floating labyrinth, complete with a concert space, a striking dance floor, an ancient library, intimate restaurant and a sun-drenched bridge with a view of the Seine. What can I do on board? Catch avant-garde music acts, from break beats to thaï-funk electro and tzigano-keupon. And don't miss the delights coming out of the kitchen when you've worked up an appetite (we love the killer chocolate cake). What's the vibe? 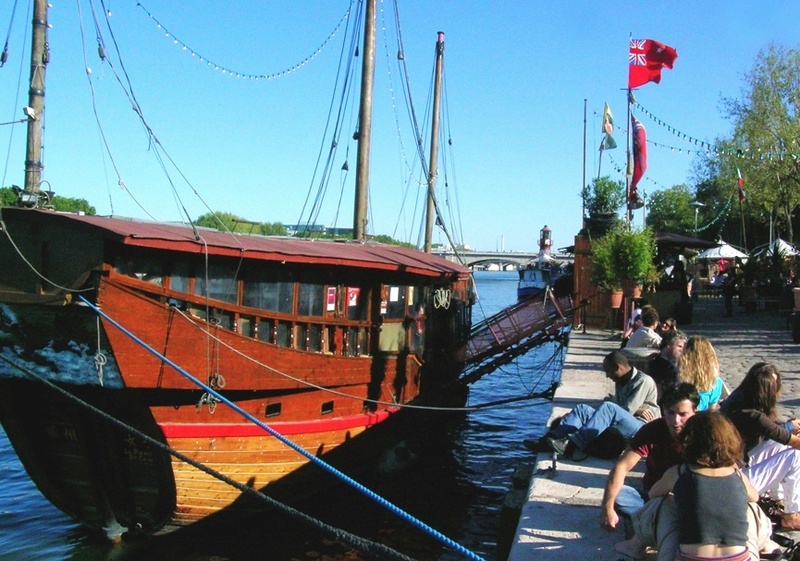 Aimed at kids during the day and adults when evening comes around, the Abricadabra theatre company have created a floating culture hub that you will keep coming back to. What can I do on board? Bring the kids to see screenings, songs, comedies and shadow puppetry, then come back later for adult's play: gypsy jazz, rock, reggae, blues or funk concerts with improv or theatre sketch nights, and from time to time DJs will spin roots, dub, electro or breakbeat. What's the vibe? 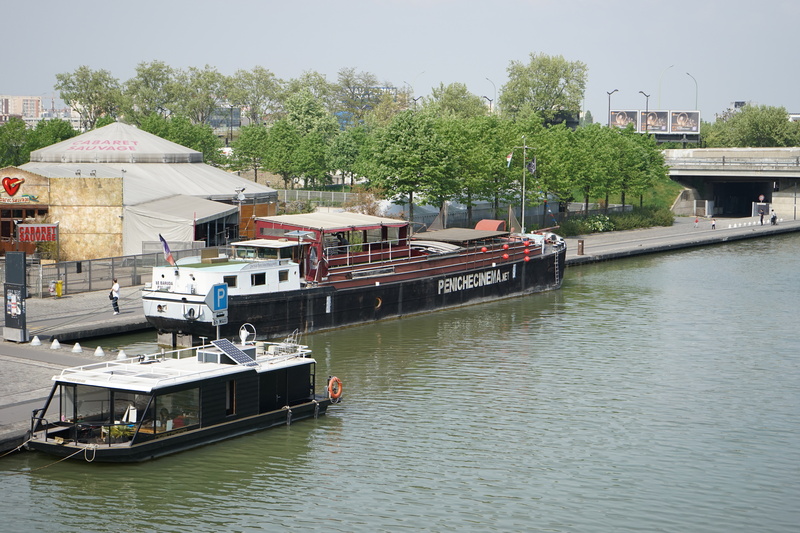 Named after one of the last survivors of a great Amazonian people, this péniche is dedicated to promoting international cultures and spreading awareness of the dangers that threaten indigenous peoples. Every month, a country, region or people is chosen and celebrated through a series of free events. What can I do on board? You could hear about the legends of Easter Island or Egyptian myths; watch a documentary about Iranian women, Bombay’s slums or Amazonian tribes; take part in an African dance class or an Armenian song session; sit in on a conference about Bolivian natural resources or a traditional Chilean concert. What's the vibe? 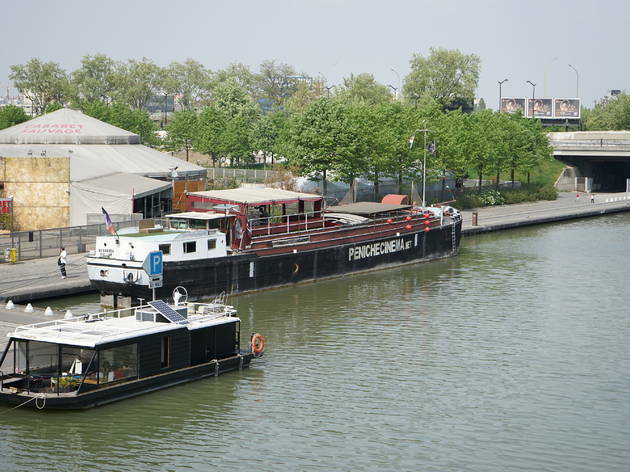 Moored next to the Bibliothèque Nationale de France (BNF), this charming purple péniche is a breath of fresh air in a modern suburban area. What can I do on board? 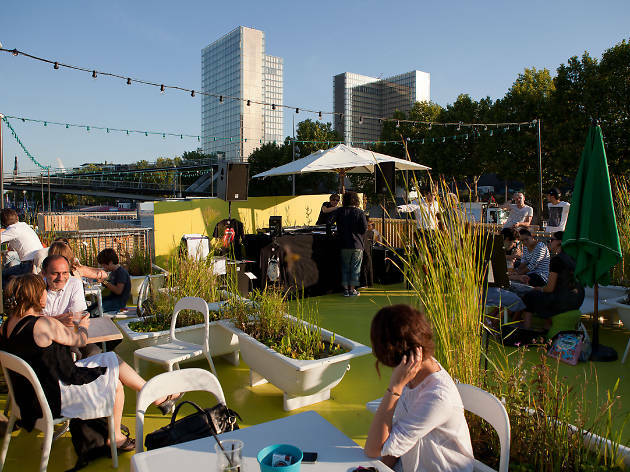 Top up your tan on the leafy café terrace, before heading downstairs to watch live acts ranging from jazz to French chanson via rock and theatrics. What's the vibe? 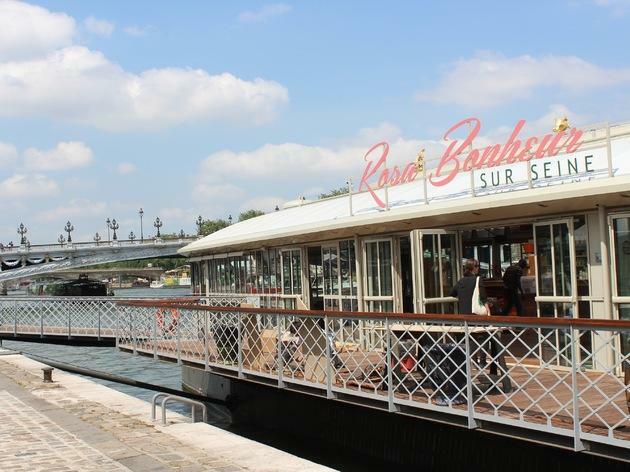 The waterside sister of Buttes-Chaumont's Rosa Bonheur, this snazzy wooden and glass boat bobs gently on one of the most iconic parts of the Seine, right by the Pont Alexandre III. Chic but laidback. What can I do on board? 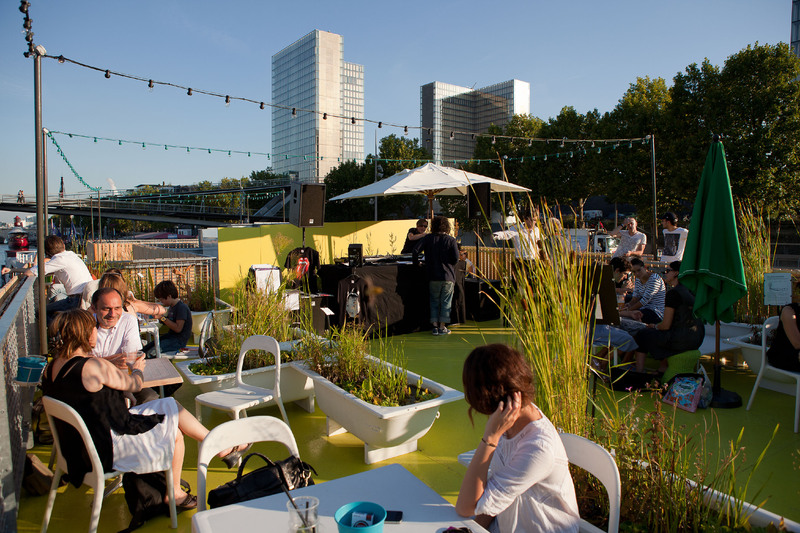 Play table football or mini-golf, picnic on deck (think pizza and oysters, washed down with chilled rosé) and admire the views until 1.30am on weekends.